The taper haircut is the ideal hairstyle for today’s man. He can do all he wants and look stylish and handsome. There are various ways how to wear the tapered cut, so it is important to understand exactly what is a taper haircut. Thus, when you go to a hairstylist, you can see properly what you want. 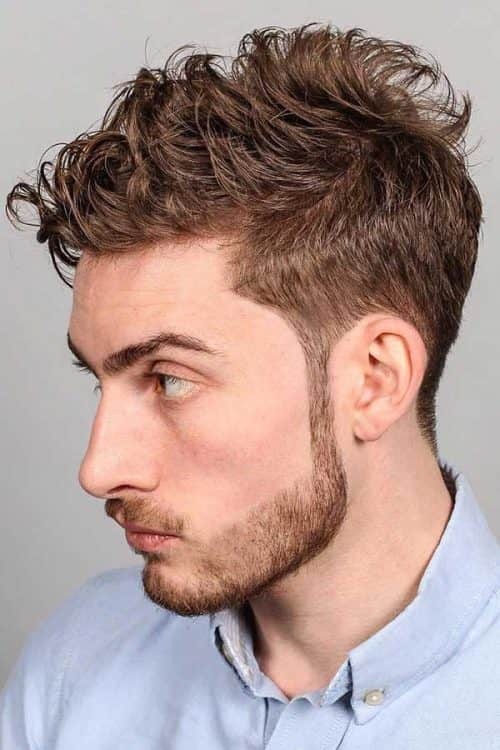 Are There Any Tapered Haircut Requirements? 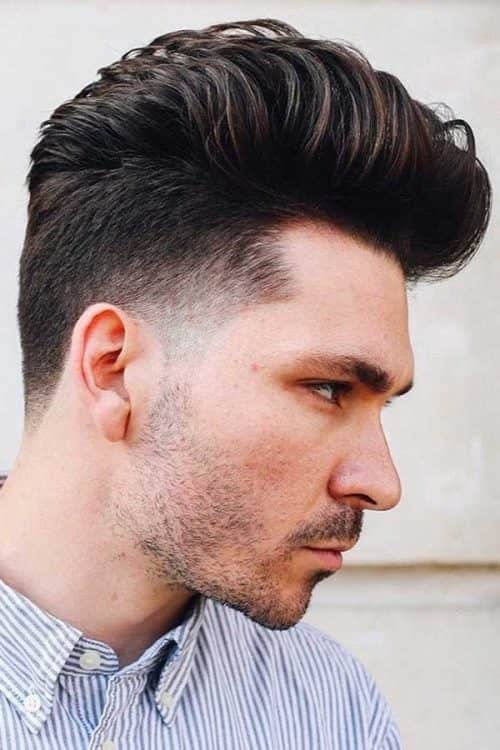 How Do I Tell My Hairstylist I Want A Men’s Taper Haircut? So, what exactly is the taper haircut? It’s when the hairstylist leaves the hair on the top of your head long, and then buzz cuts the hair on the sides and back of your head in a progressive manner or, in other words, “tapers” the hair toward your neckline. The taper haircut offers a lot of styling options. You can part it on either side, brush it back, create a faux hawk, fashion a pompadour, spike it, or do anything you can imagine, really. The taper hair cut has a few “relatives,” each of which varies the length of the hair on top and/or the manner of the taper. 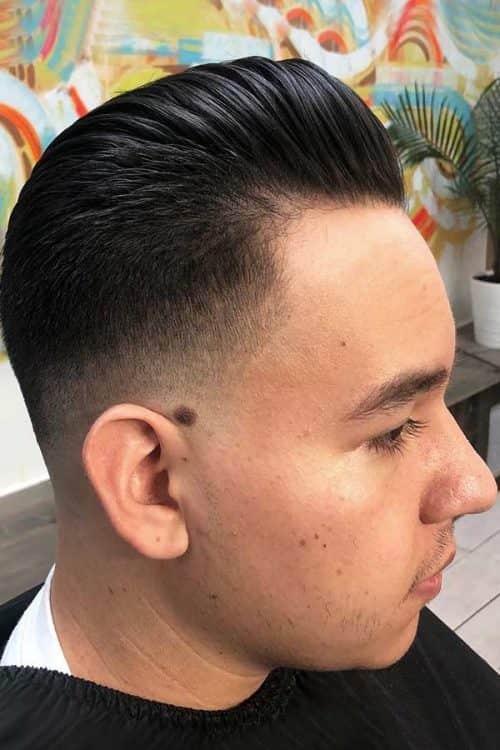 The taper fade haircut is one such variation. With this haircut, the taper keeps on going along the sides and back until it merges or “fades” into the skin. For tapered hair, your hairstylist should have at least two inches all around your head with which to work. More on top would be even better. Such a length on the sides lets your hairstylist create an even, nice looking taper. If you have less, your hairstylist could probably create a nice faded taper. Most hairstylists know what a mens taper haircut is. To be absolutely sure you get the exact haircut you want, download a photo of the look you like onto your smartphone and show it to your hairstylist. You could even use the pics from this article. Almost all barbers know what you want when you ask for the classic taper haircut. But of course, bringing a picture will always help to get really wright result. Decide what type of taper haircut you like and suit more and then boldly go to your stylist! In addition to deciding to get a taper haircut, you also need to decide where you want the taper to start and end or consider a variation. 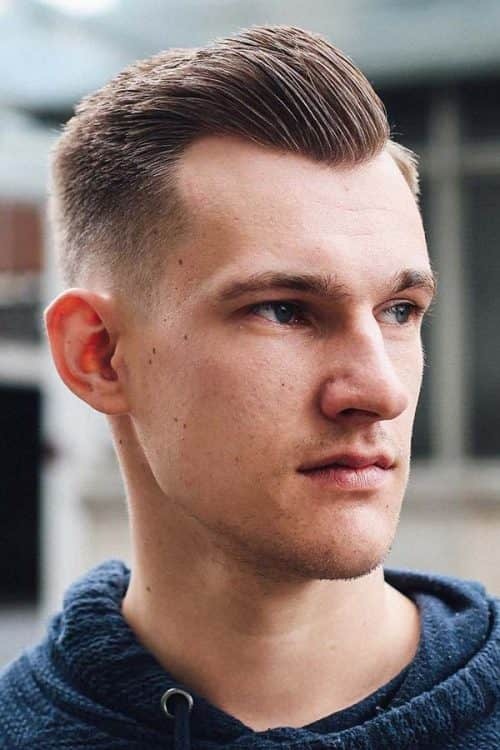 One such variation is a low taper fade haircut. With the low taper fade, the taper starts about an inch over the ears and is closer to the neck and ears than other tapers. An undercut, where the back and sides of the head are buzzed very short, emphasizes this model’s mid taper fade. It commonly sits above the ear, under the temples. As you can see, with some imagination, and some styling product, the taper haircut lets you do anything you want. The low fade and high taper haircut fade are amongst the most popular variations. The high taper fade usually blends away about two inches from the top of the head. Hairstylists use scissors to cut a taper hair cut and clippers to cut a taper fade haircut. Taper fade haircuts might make you look like you’re balding. Such isn’t the case with taper haircuts. Taper fade haircuts require little upkeep. Taper haircuts require upkeep. Your hair moves readily in a taper hair cut. Not so much in a taper fade haircut. Check out this photo. 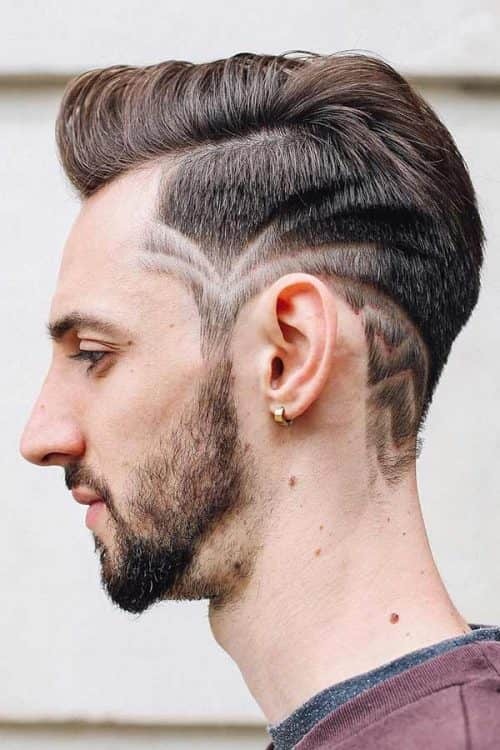 This model added a fascinating hair tattoo to his taper haircut. Taper haircuts were already unique. With a hair tattoo men, their distinction was radically elevated. Styling a taper haircut is very easy. 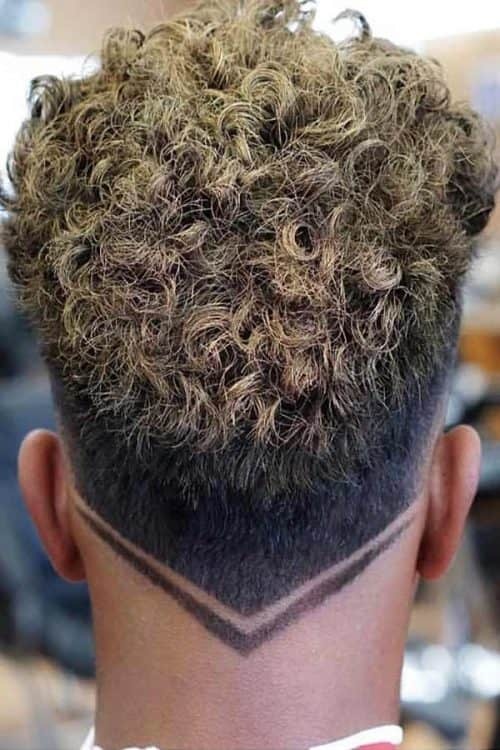 The volume is built into the haircut. If you want more, however, with just a comb and styling product, you can create a host of great looks. Fashion a slicked back look, comb over, side part, or pompadour, just to name a few. It takes only a few extra minutes, but it’s definitely worth it. After shampooing, use some styling product or thermal protector and blow dry your hair to your desired style and finish with pomade or styling gel. The following directions will give you some ideas. As you can see, a side part fade looks amazing. When you get your haircut, you can tell your hairstylist you want a deep side part or a side part haircut. Or, if your hair has enough length, you can just go ahead and simply do it. After washing your hair, apply some styling product and blow dry your hair to your desired parted style. Rub in a small amount of styling putty or pomade between your hands and work through your hair to shape and lock-in the style. This model’s slick back hair works for all this model’s needs. He maybe touched up his slick back fade once. Or was it twice. Maybe. Want to know how to slick back hair? A brush and pomade. That’s it. This model’s hair captures the wow factor of a taper haircut. While the tapers of a medium layered haircut are mostly short, you can always vary the length of the top. 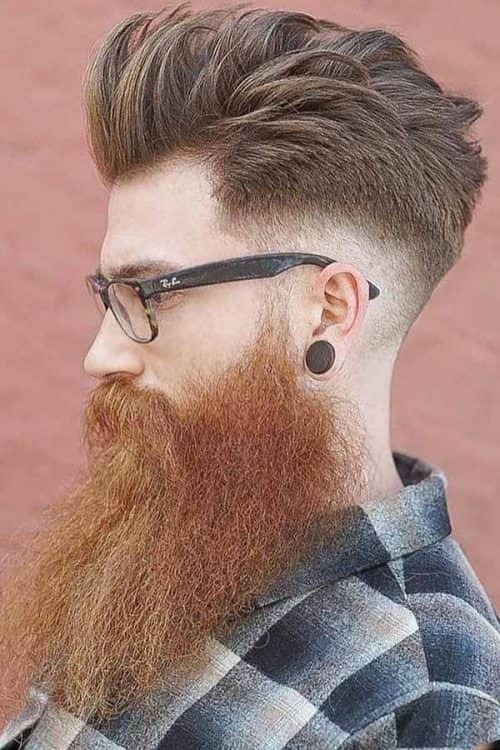 The hairstylist combined the longer top into the lower taper. It’s just gorgeous. You’ll have no worries with how to style medium length hair men. Just brush. Nowadays, the men’s pompadour hairstyle is extremely popular. It brings back the 50s. If you don’t know those names, you should. They’re legends. They set the cool standard. If you want to know how to style a pompadour, you’ll first need a skin taper that allows you to style your hair like this model’s. Here it is longer in the back and sides (you could simply download this photo and take it to your hairstylist). You could also ask your hairstylist to give you a pompadour fade haircut. After shampooing, use strong hold, water based pomade to slick back the sides of your hair. Then, blow dry your hair with a round brush. Use the brush to roll your hair upward and forward in sections. When your hair is dry, use a small amount of pomade to further form and shape your pompadour. Finish your pompadour hair with a spritz of hairspray. The quif hairstyle somewhat resembles the pompadour, as it sweeps back the hair. 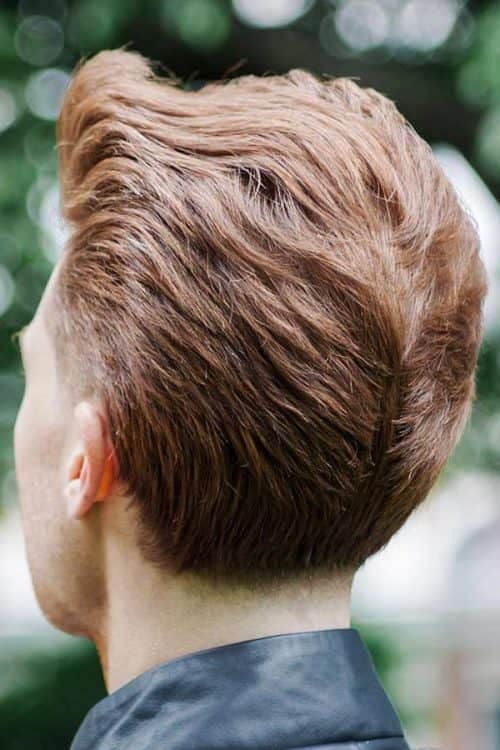 If you want a mens quif, ask your hairstylist to begin the taper higher up. It will produce more even, less heavy quif hair. It will even give you more styling options, such as parts. Short spiky hairstyles give you even more flexibility with taper haircuts. It’s so easy to get short spiky hair, too. 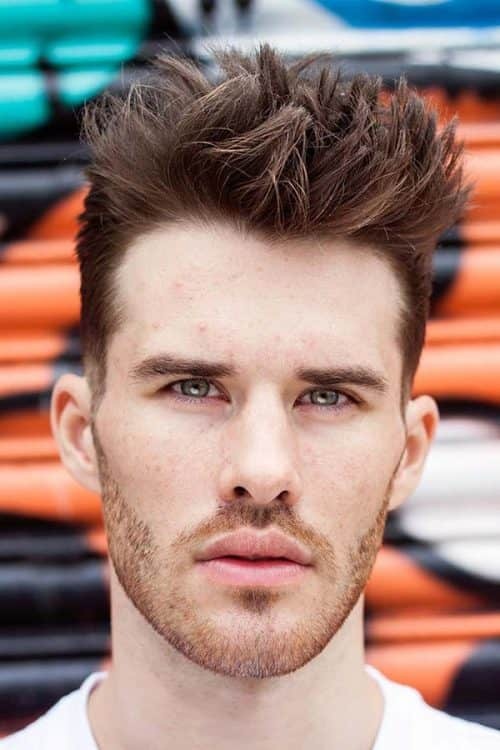 If you want spiky hair like this model’s, high taper hair like his works best. The lower tapers might not work as well. Taper and taper fade haircuts work perfectly for textured hair. This model’s waves look fabulous parted. And he could do even more, if he wanted to. Tapered haircuts are ideal for everyone. Look at the tapered haircut on natural hair. Taper haircut black and the black men haircuts taper fade so easily incorporate several trends. 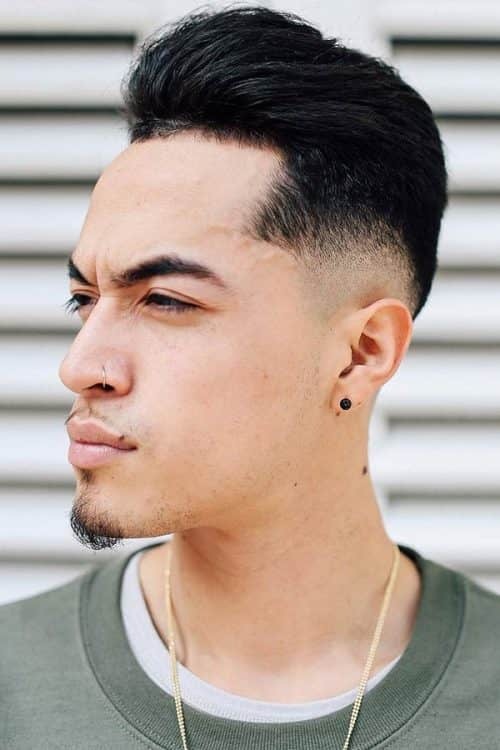 This popular low fade haircut accentuates this young man’s curls, gradually lessens, and then disappears. It’s exclusively his. The length of the hair decreases as it gradually goes down from the top until it disappears. The curls on the top are styled in various ways. 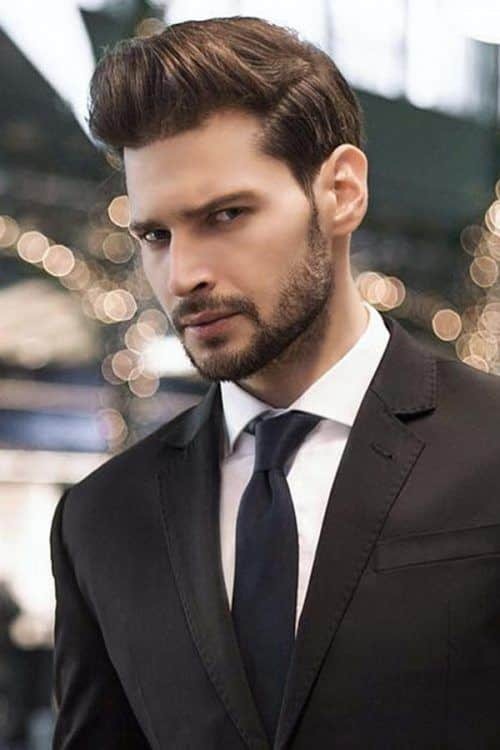 The taper haircut is the perfect men’s hairstyle. Its variations, including the taper fade haircut, offer the ideal versatility for a today’s man. He can do anything he wants, go everywhere, and his hair will always look modern and fresh. Imagine getting ready for work in the morning. It just takes a few minutes. You first style your hair professionally. After work, with just a few sweeps of the comb or hand tousles, you look casual or maybe a bit wild. Now you’re ready to meet the guys for a drink or perhaps that special date. It’s that easy. With a taper haircut, you can be yourself. You can have it all.